Stay Alert. Dedicate your full attention to the roadway. The traffic pattern in a work zone may be shifted, and lanes may be closed. Watch for orange work zone directional signs, obey flaggers and be aware of workers and equipment which may be moving in a lane near you. Be Patient. 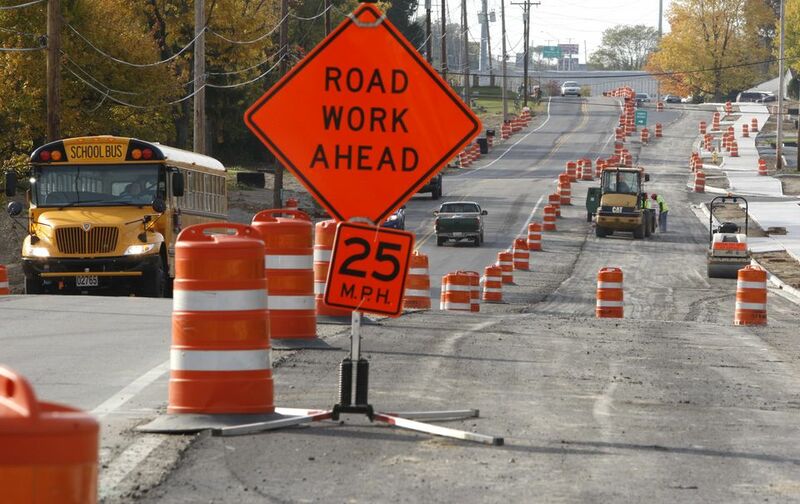 Traffic delays in work zones are unavoidable, but patience can prevent crashes. As frustrating as construction delays may be, the few minutes you may lose by adhering to common-sense (and statutory) safety rules in construction work zones is nothing compared to what you, other drivers, and construction workers could lose in an avoidable collision. Attorney Grant Goodman and his staff at the Goodman Law Firm in Cleveland focus only on personal injury, wrongful death and malpractice claims. With this focus comes skill that has led to millions of dollars in settlements and verdicts for our clients. Along with results, the Goodman Difference is passion and a personal touch. Let us show you what the Goodman Difference is about. Let us help guide you along the path and tell your story to the insurance company, judge or jury. Call 216-928-9990 for a free consultation.